PhoneArena is sponsored to review this product. Our opinions expressed here are not affected in any way! 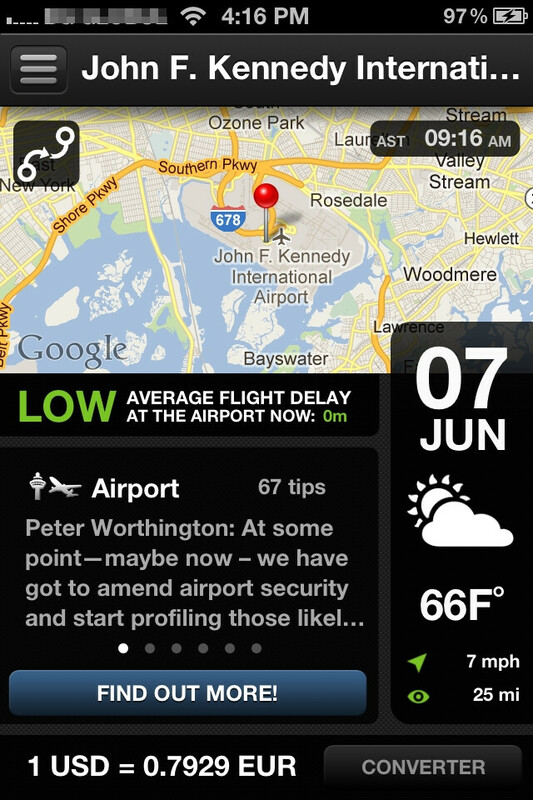 Traveling by airplane is yet another thing that smartphone apps can be useful for; smartphone apps like App in the Air, which we are checking out on our iPhone today. Think of it as a virtual companion that provides you with valuable information about your flight – things from flight departure and flight arrival times, to airport restaurants where you can use free Wi-Fi, and everything in between. Seems quite promising, so let's take a look! 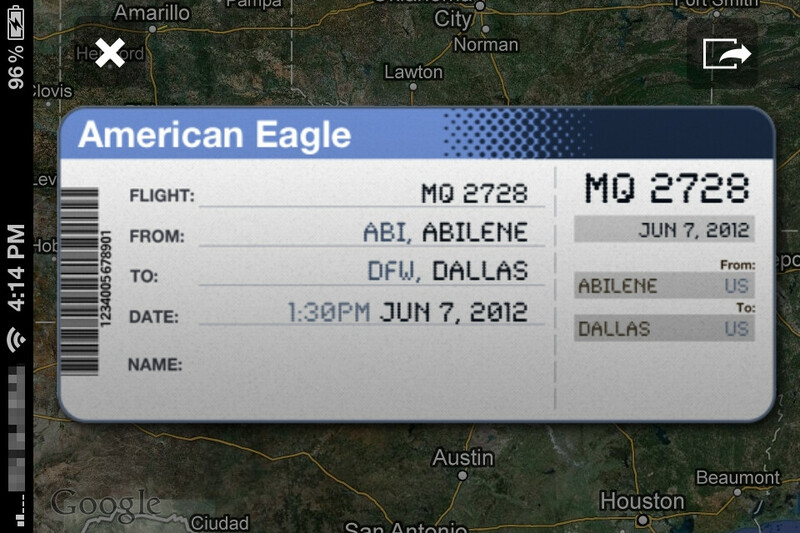 For an application that you get at no charge, App in the Air can do some pretty neat stuff. 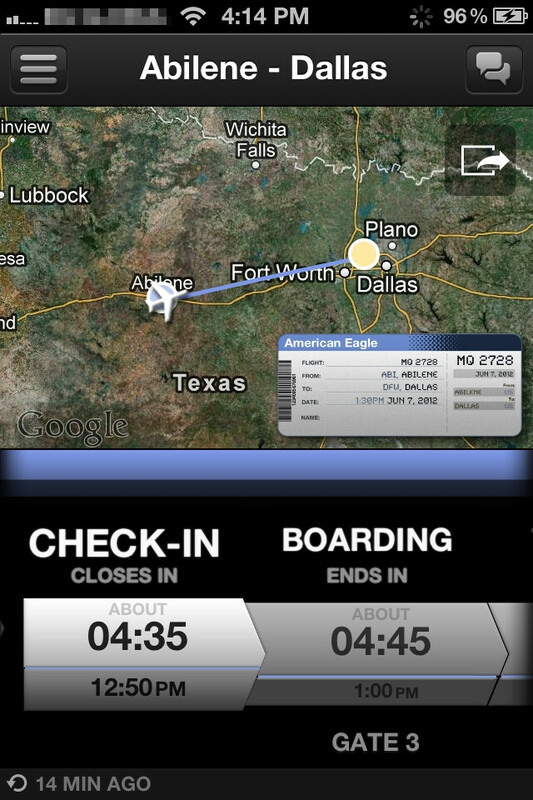 First thing that it asks for is your flight information, which is necessary in order to get the goods. And boom! 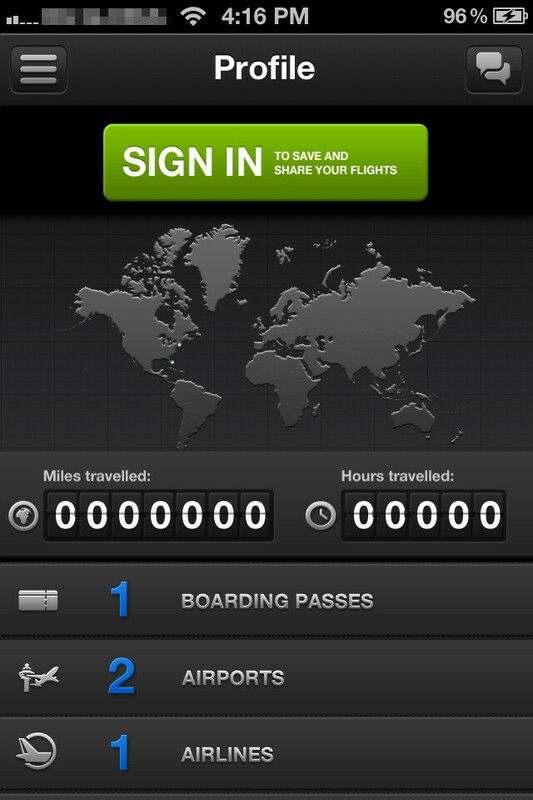 Instantly you are provided with your flight's schedule and a virtual map of your trip. 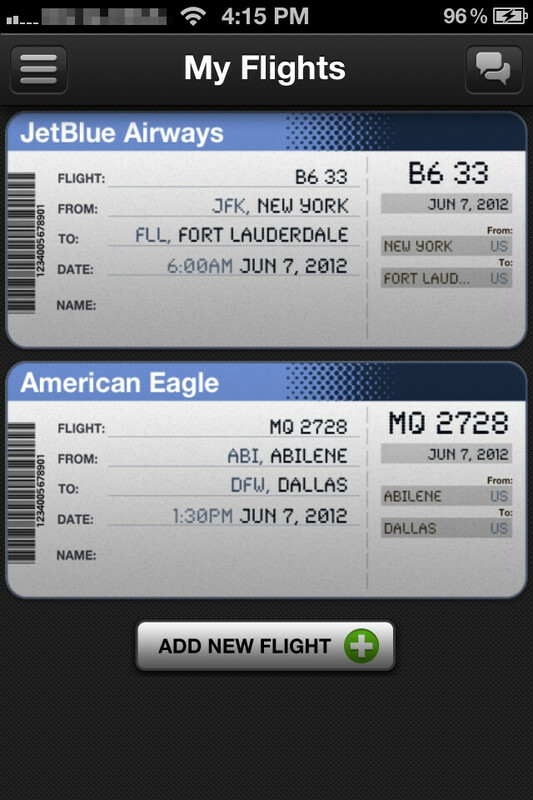 A swipe to the right provides you with plenty of detailed information, such as details about the airline and aircraft you will be flying on. Something we find quite useful is the option to check-in online, which saves you precious time that you can spend sipping coffee at a nearby coffee shop. Speaking of coffee shops, there is an option to check out the airport's restaurants and fast food places that offer free Wi-Fi. And if that is not enough, user-submitted comments help you choose which one of them is really worth going to. Want more? There is a whole bunch of helpful tips that travelers will surely find useful, such as information about transportation, airport shops, and even locations where power outlets are available. 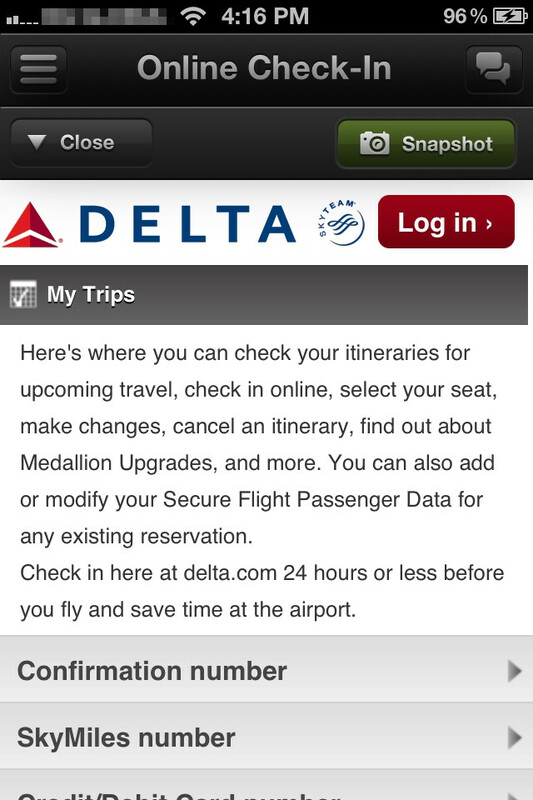 The only feature that you won't get for free is the ability to receive push notifications or text messages whenever there are changes with your flight – something that frequent flyers might find helpful. Simply put, App in the Air can be a valuable piece of software no matter whether it is your first time boarding an airplane, or the hundredth. However, the app comes with its flaws, and one of them is that it is a bit buggy. During our testing, we experienced a number of spontaneous crashes, which occurred for no apparent reason. Another weird thing was that we had a few occasions when the timing was somewhat off. For example, we were told that there's half an hour until we reach our destination, and all of a sudden, we got a notification that we've arrived. Still, most of the times the app works well. 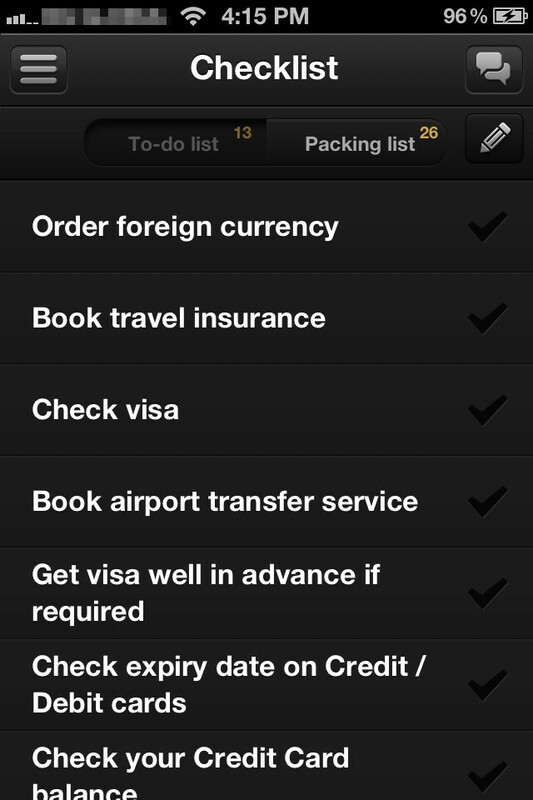 We also have to mention that the app's interface may look pretty, but it lacks intuitiveness. Sure, it is clear that lots of thought has been put into designing it, but the first time when we launched the app we were confused by the way the menu items were organized. 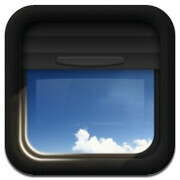 App in the Air is a very promising application with a rich feature set, which will surely come in handy to a lot of travelers. However, it isn't perfect, as there are some bugs that are still waiting to be fixed, but considering that it is a fresh arrival at the Apple App Store, we expect its developers to address the issues in a timely manner. 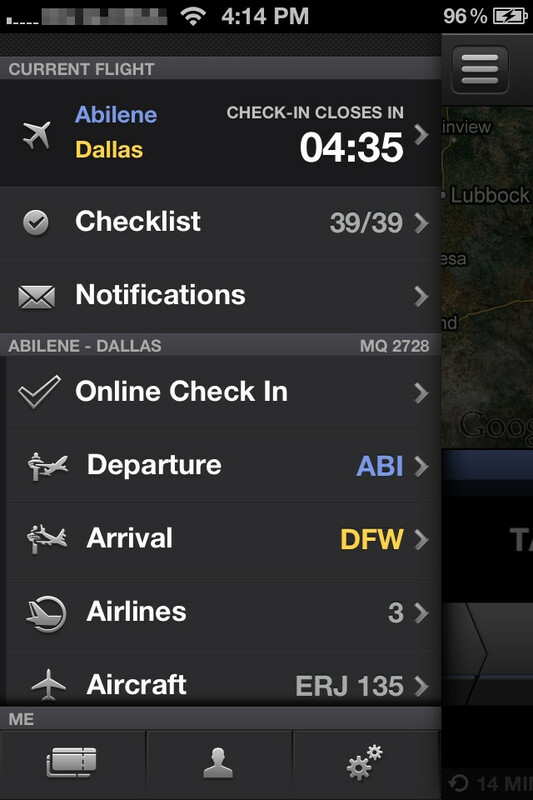 Once polished, App In the Air can surely make your next flight more enjoyable. Giving it a try is recommended, especially when downloading the app doesn't cost a dime. 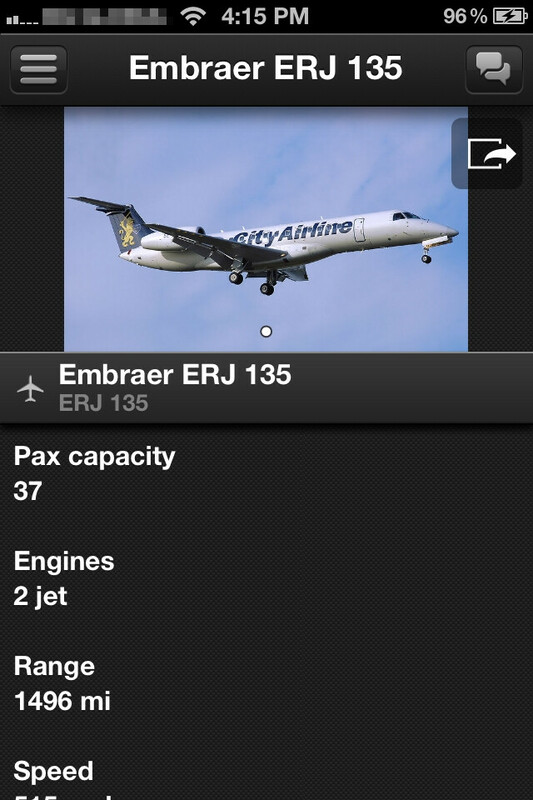 The only cool thing is that I saw a picture of my favorite commuter jet, the Embraer ERJ135.